SKU: N/A. Categories: Best Seller, Leather Dress, Premium Leather Wear. 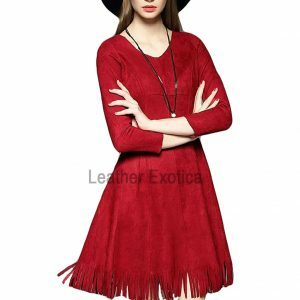 Make your look more fashionable with this designer style women leather dress. 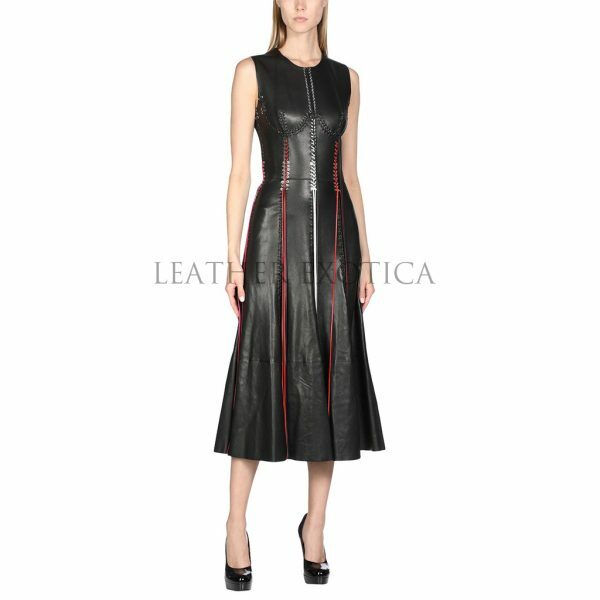 This women leather dress is made from real lambskin leather. This is long length women leather dress and it has back zipper closure. This women leather dress has front round neckline and lace detailed which look amazing on this dress. This is sleeveless women leather dress and it has soft lined. 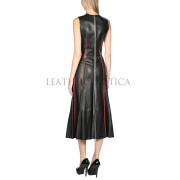 This women leather dress is paneled and it available in all size and all colors. Grab this designer style women leather dress and look fashionable.